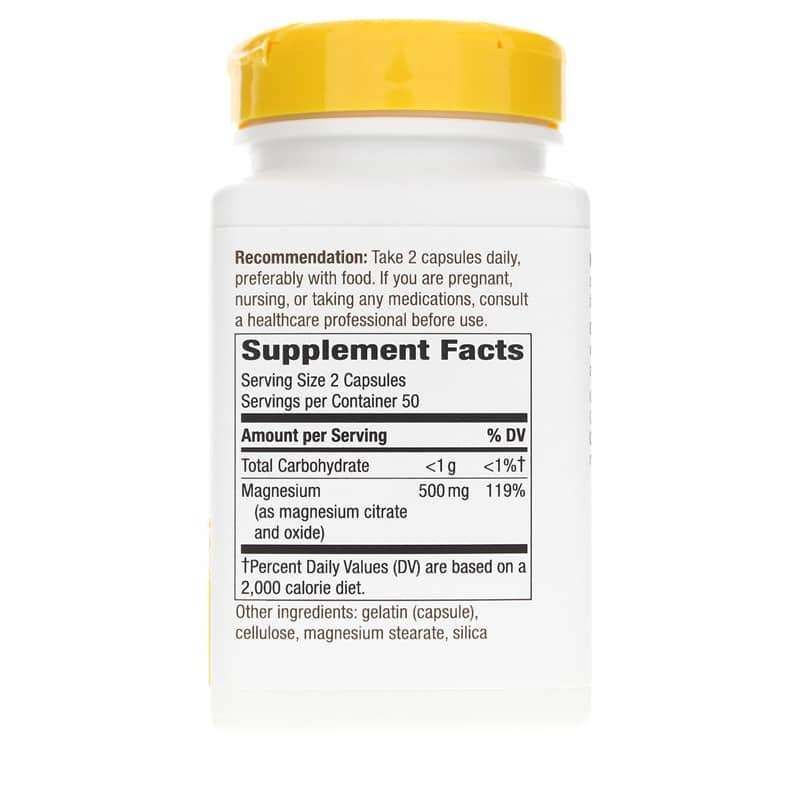 Magnesium Complex Citrate Blend from Natures Way contains an advanced chelate form of magnesium to enhance solubility and absorption. 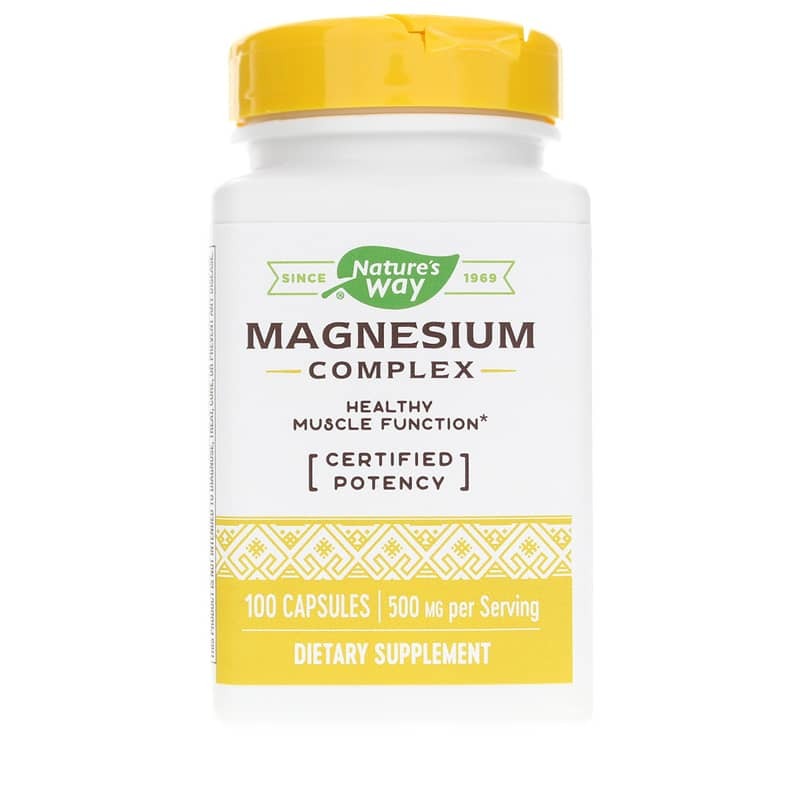 Magnesium mediates proper muscle function (including the heart) and is essential for cellular production of protein and ATP. Other Ingredients: cellulose, gelatin (capsule), magnesium stearate, silica. 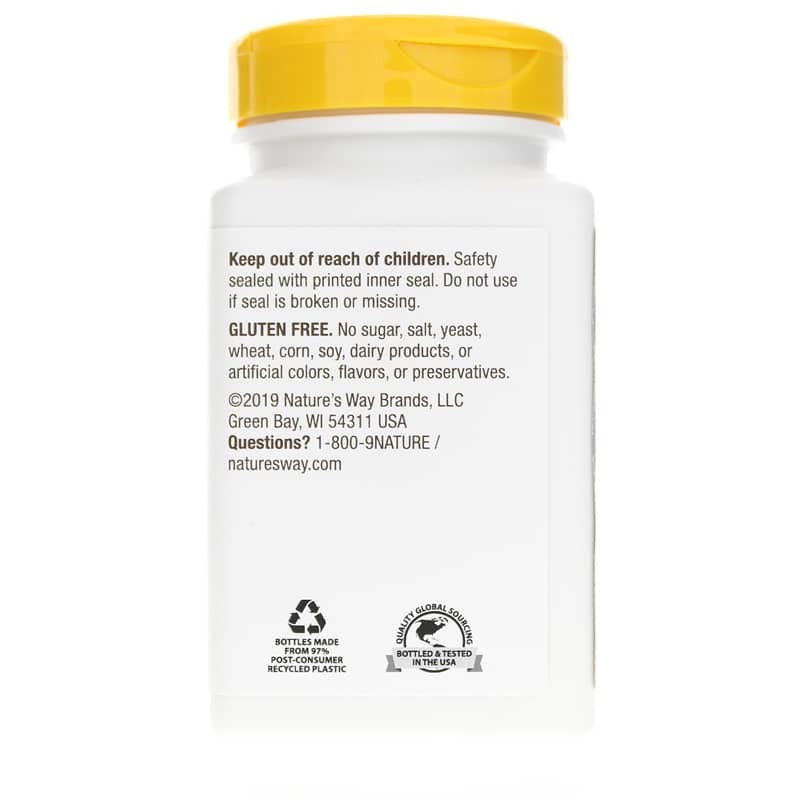 Contains NO: gluten, sugar, salt, yeast, wheat, soy, corn, dairy products, artificial colors, flavors or preservatives. Adults: Take 2 capsules daily, preferably with food. Great product along with a great price.